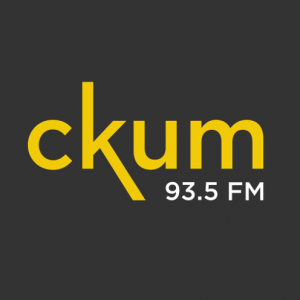 CKUM 93.5 is a Canadian campus radio broadcasting in Moncton, New Brunswick owned by the Les Médias Acadians universities, inc. The channel, initially gets its origination by the University of Moncton in 1971, when it started a closed circuit, mono network. During 1981, CRTC gave approval to the Les Média Acadiens Universitaires Inc. to launch a channel in the University of Moncton. Originally, the frequency assigned to the CKUM was 105.7 MHz that was changed to the current one 94.5 MHz on September 21, 1995. CRTC once denied the application for the frequency shift in March 1994. CKUM 93.5 Moncton was moved to its current location, Université de Moncton Student Center, in 1992, where it set up its modern studio. Channel on airs excellent playlists of the Indie and the French Music. Hold on for a second and wait for the loading of the online stream of CKUM New Brunswick. The citizens of the Moncton, New Brunswick, can tune their radios to the 93.5 MHz to catch the programming of the community/campus radio and to enjoy the Indie and the French Music. Online visitors can listen live CKUM 93.5 Moncton online streaming from the official site. The fans can also get involved to the station by becoming a volunteer. If you want to become the volunteer you can, no matter you are a student of the Univesity of Moncton or not. It’s a community channel, and everyone in the community can become the member of the CKUM 93.5. The visitors can also explore the programming schedule. One can also check out that what’s on air on the podcast. The fans can follow the CKUM 93.5 Moncton on Facebook and Soundcloud.